If the increasingly frantic targeted ads in my Instagram feed for fancy underwear and/or chocolate are anything to go by, Valentine’s Day is just around the corner. Well, if you’re reading this and have left your extravagant-show-of-affection-giftstravaganza run a little late, don’t worry. We — or rather Blancpain — have your back. 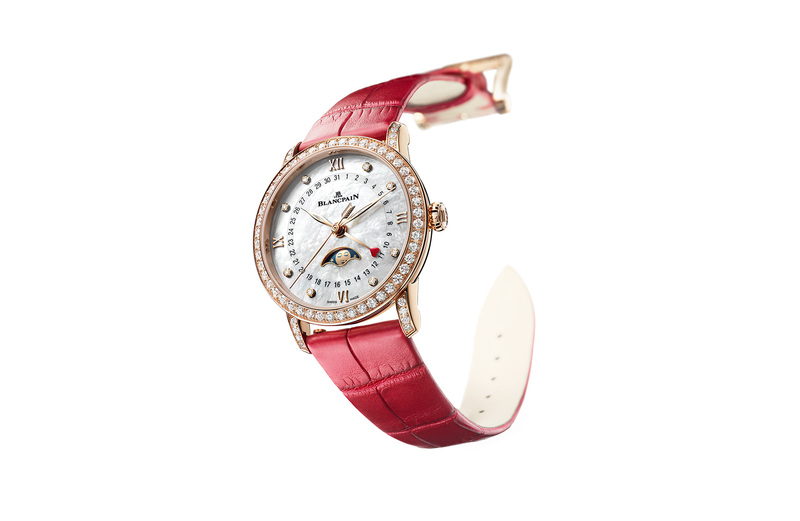 Say hello to the Blancpain Villeret Valentine Women Quantième Phases de Lune, a delightful limited edition made with Valentine’s Day in mind. Of course, there’s the expected mix of mother-of-pearl dial and liberal sprinkling of sparkly stones in the 33mm red gold case, but what really elevates this from regular fancy women’s watch to lust-worthy Valentine’s Day gift are the little touches. Sure, there’s a passionate red-strap option, but look closer and you’ll see the tip of the pointer date has skewered (much like Cupid’s arrow) a plump red heart. Speaking of arrows, the seconds hand is actually shaped like one. And then there’s the moon, which is sporting a little beauty spot, a très cute touch. Finally, the golden rotor continues the Cupid motif. All told, this is a delightful package, and one that leaves a dozen long-stemmed roses in the dust. 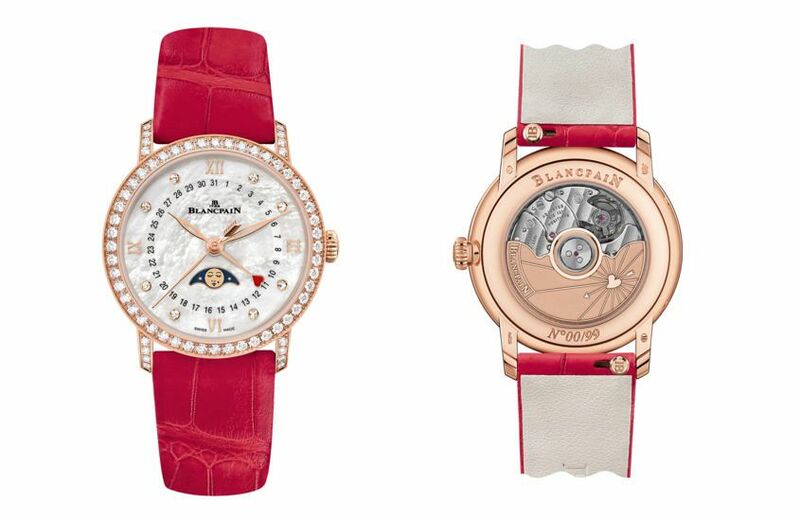 It’s also something of a tradition for Blancpain, who have been making Valentine’s Day limited editions since 2001. So, if you’re looking to seriously impress your SO, it’s one to consider. But hurry — there’s only two sleeps to go, and one piece in the country.